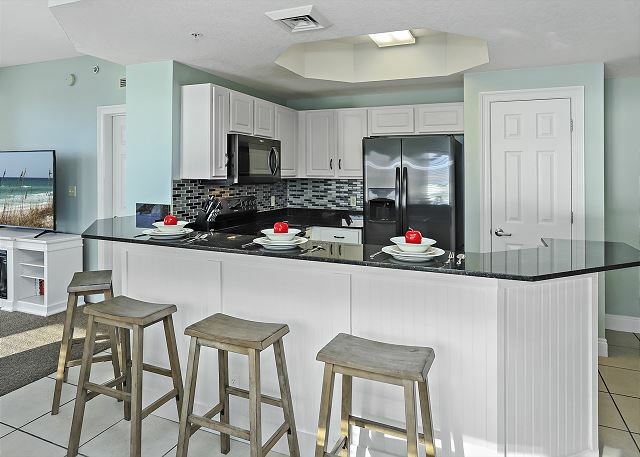 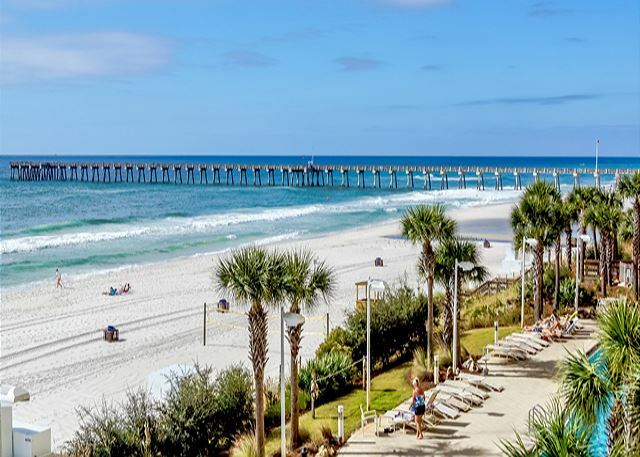 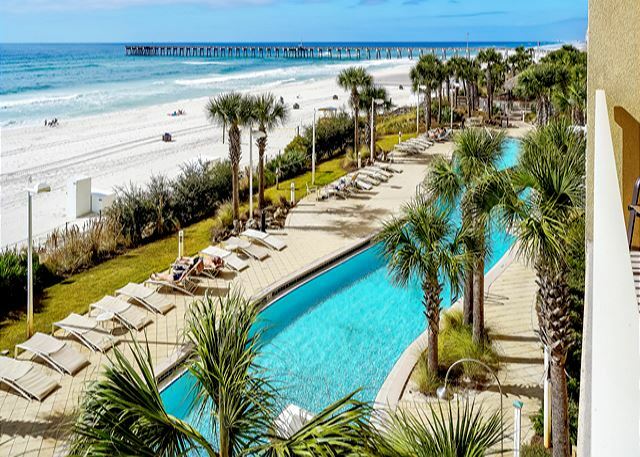 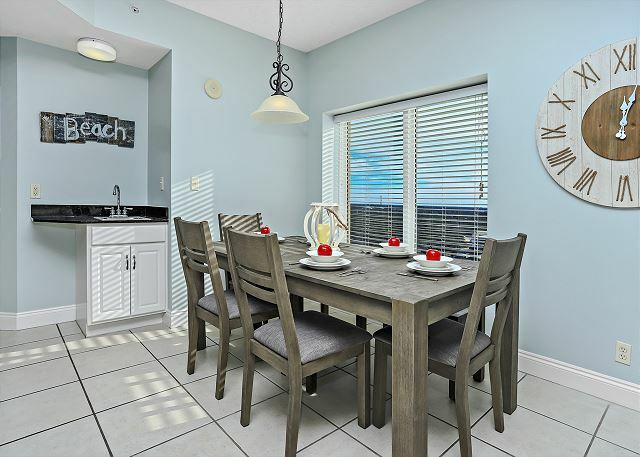 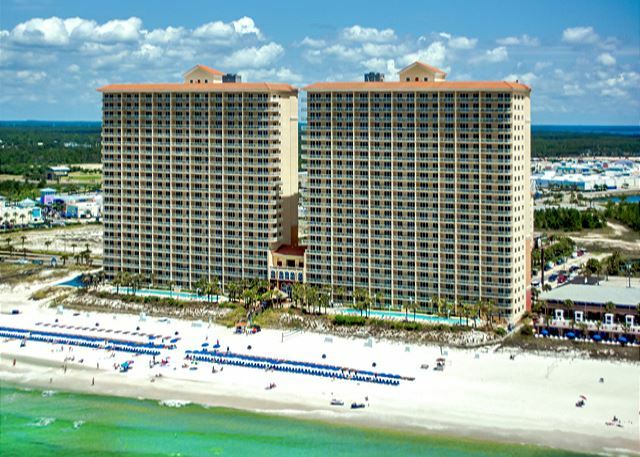 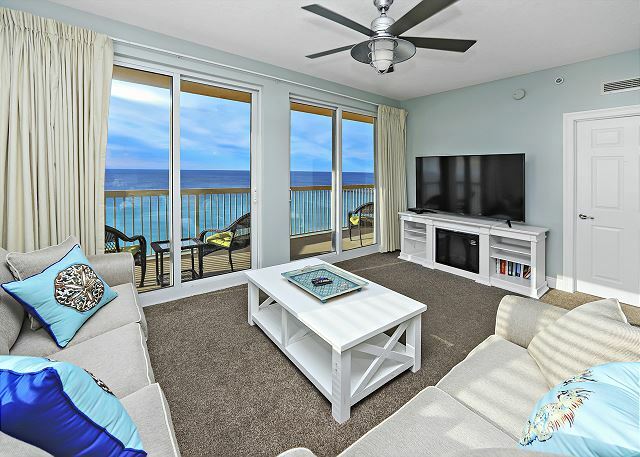 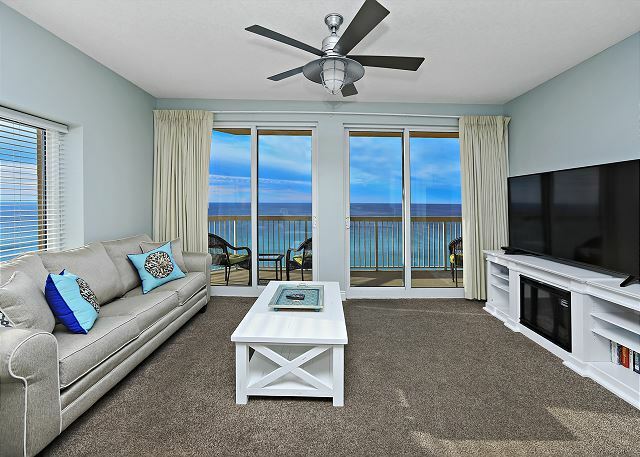 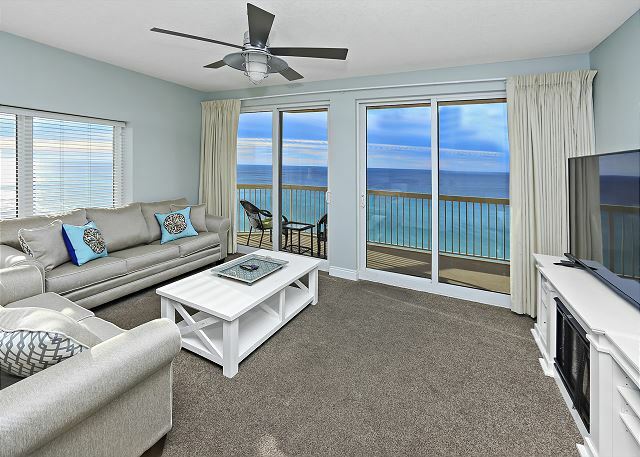 Comfortable and classic coastal chic is the theme in this completely renovated retreat located at the beautiful, all-inclusive Calypso in Panama City Beach, Florida where you’ll have pools, spas, water sports, beach access, fitness center, restaurants and bars all at your fingertips! 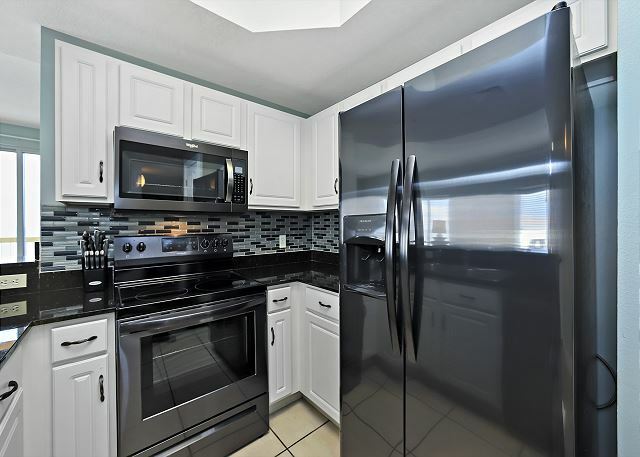 The kitchen features dark granite countertops, a coordinated custom tile backsplash and brand-new top-of-the-line dark stainless appliances. 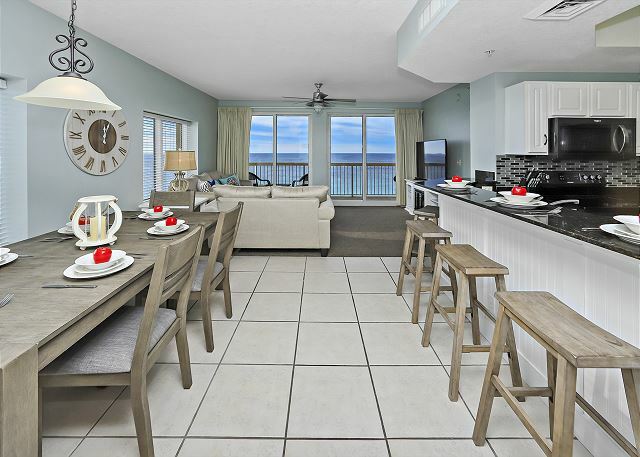 The bar seats 4 directly and the reclaimed wood farm dining table which adds comfortable seating for six more. 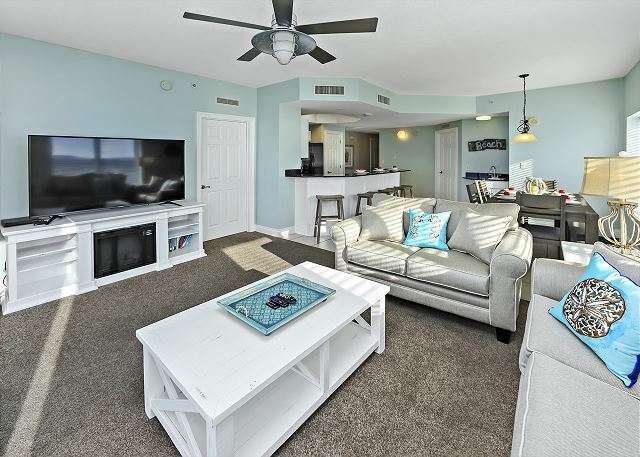 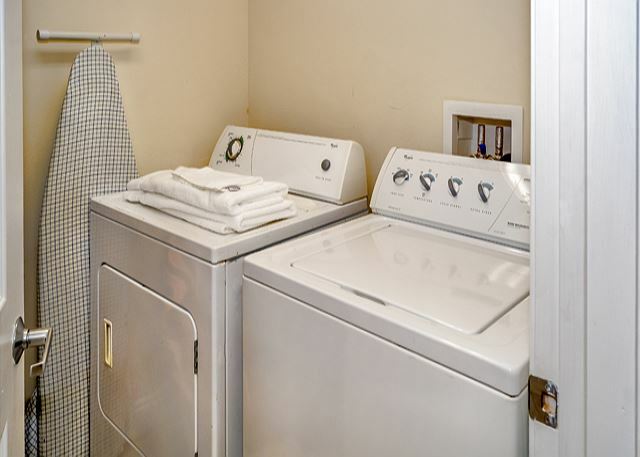 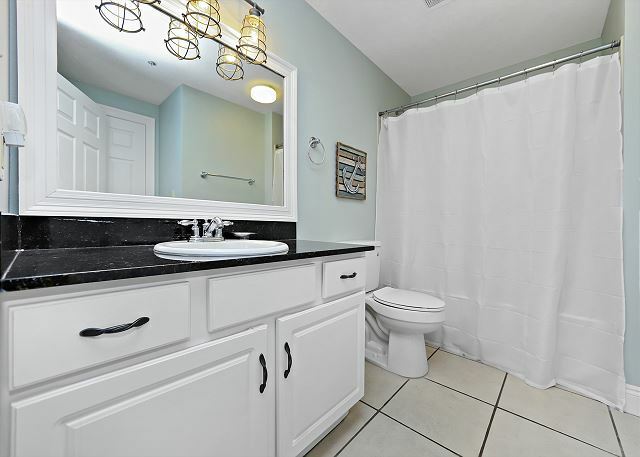 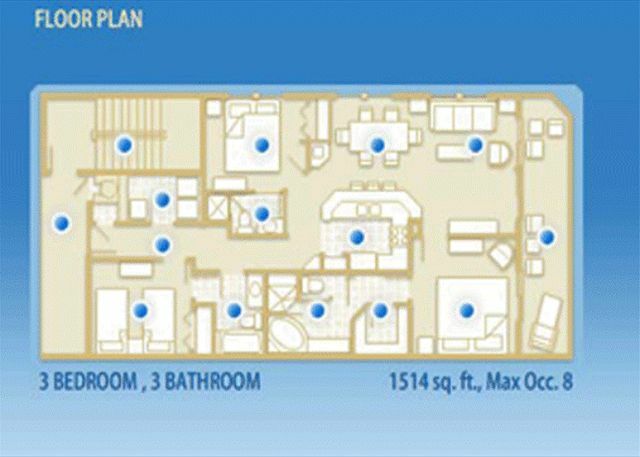 The 2nd Master, located off the well equipped kitchen, offers a comfortable Queen, large flat screen TV, large closet and private bath with a combination tub and shower. 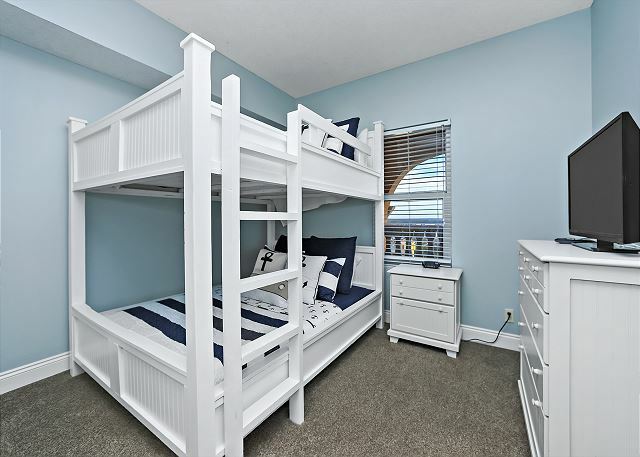 The Guest Suite gives you a unique sleeping space with a Queen over Queen bunk. 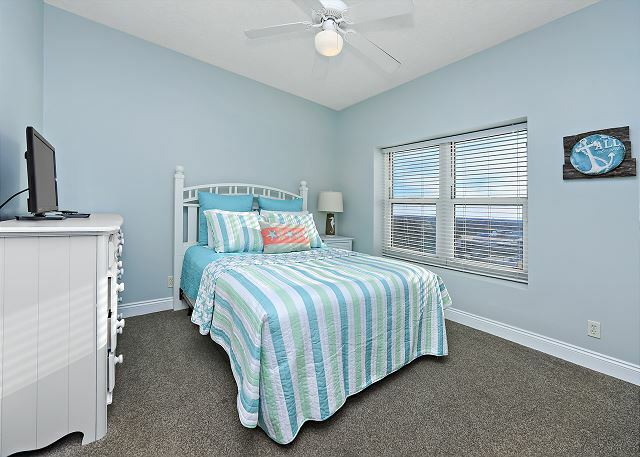 This unique bedding set up offers a flexible sleeping arrangement for expanded but comfortable bed set up. 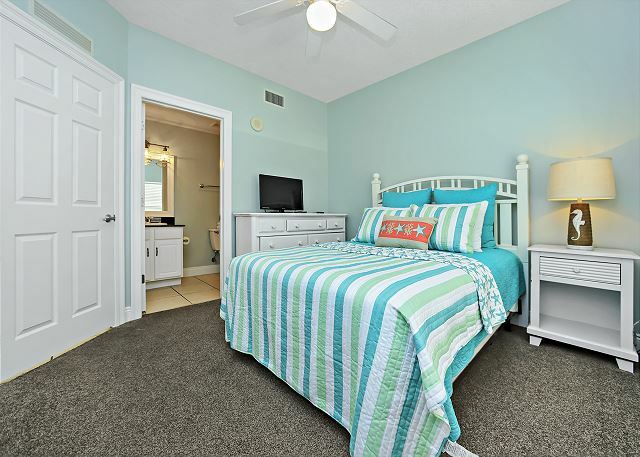 The oversize dresser holds a large flat screen TV as well. 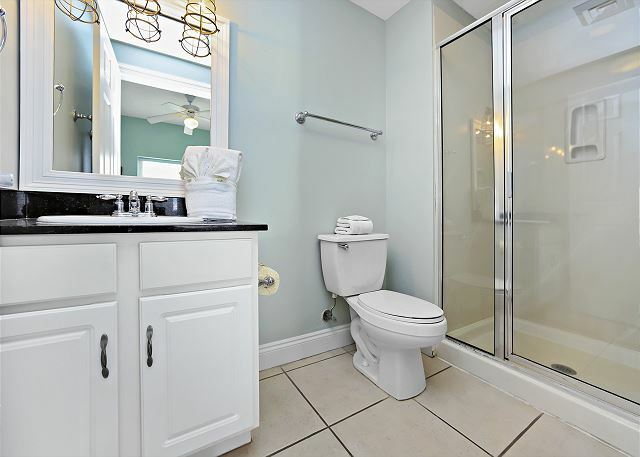 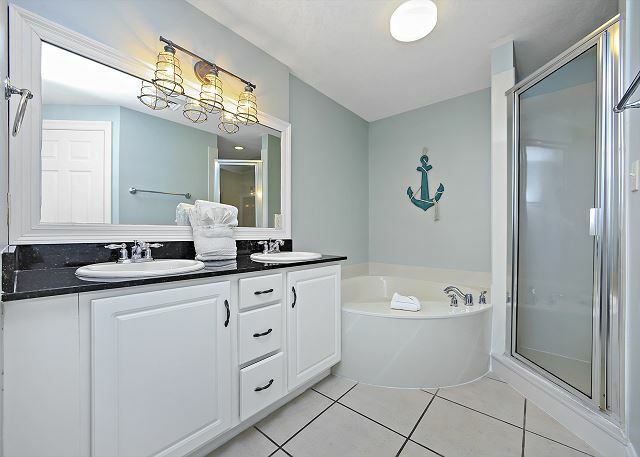 The private Guest bath also offers a combination tub/shower. 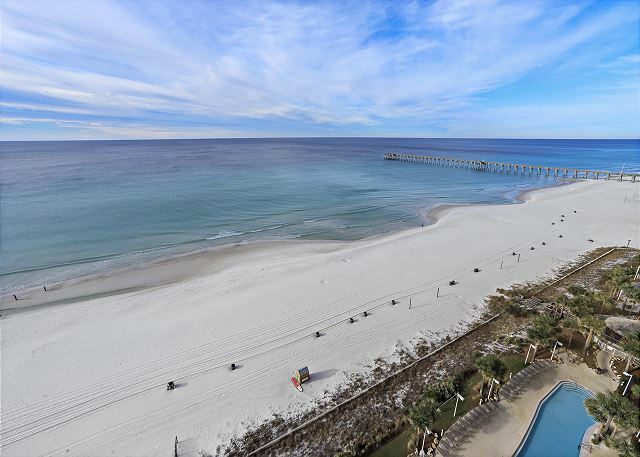 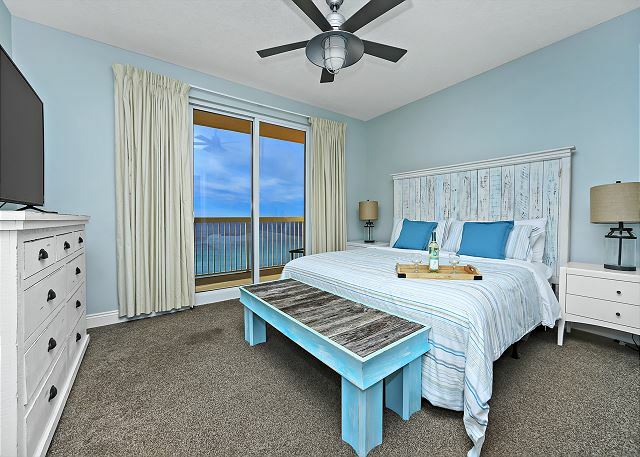 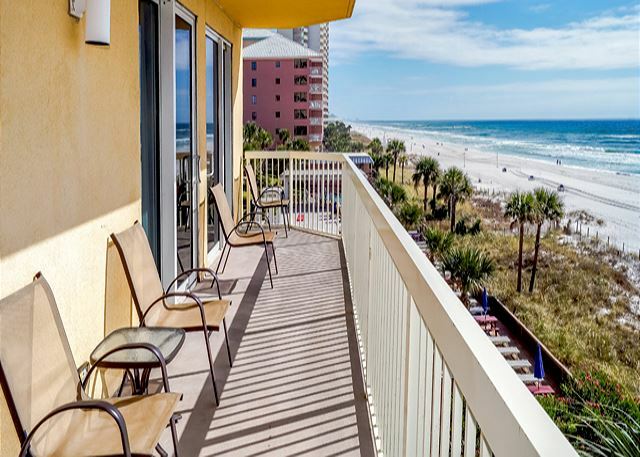 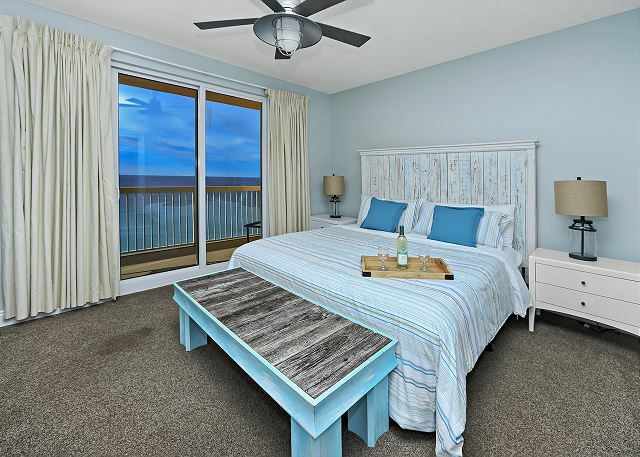 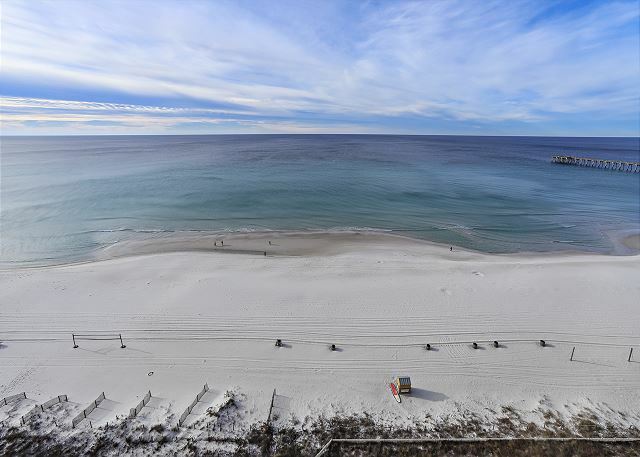 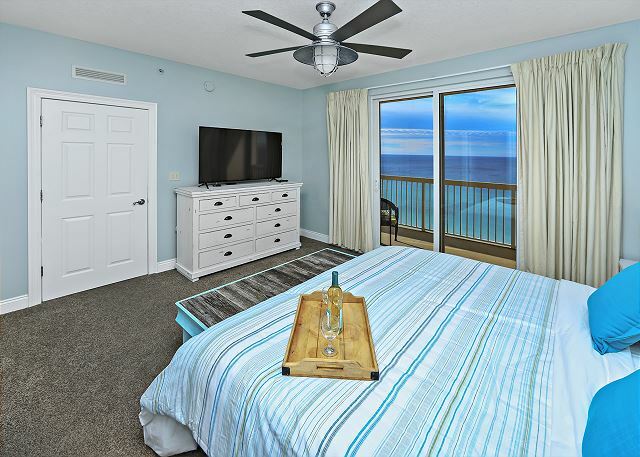 Come escape to our gulf view vacation residence complete with balcony, gulf fronting Master Suite, large flat-screen TVs, coastal chic furnishings and best of all, the overwhelming views of what has been called one of the most beautiful beaches in the world!